Lock up Make sure you lock your house, vehicle, and garage and shed every time you are not using it or leaving. Install install a camera, install a security system or some kind of alarm that triggers when a door/window is opened. Get a dog Obviously, were not telling you to get a dog, but dogs do scare off people! Keep serial numbers to all electronics and take pictures of all your jewelry. If you buy a new TV or something that comes in a big box, dispose of it completely by not setting it out for the world to see what you just bought. Be a good neighbor - Get to know your neighbors and agree to keep an eye on each other's homes. Report - If you see someone or something suspicious, report it, call the police. What kind of home security system should I use? That is completely up to you! There are security systems (such as ADT) that will come out, install and monitor your house. One of our staff members likes this because she gets a live feed of two cameras in her house, a chime when her doors open or close and of course, the security system. And she pays a nice $60 a month. There ARE really good deals out there, you just have to do the research and see who offers what fits your needs in the price range you want. Another way to go is buy and install yourself. Two of our staff members have this as well. As long as you know what you are doing, it can be just as effective as using a large name brand security system. Plus, you don't have to deal with a stranger in your house installing a security system that, well hey, they would know how to get around! Plus, this is more costly upfront, but will save you in the long run without a contract! You can go to your local hardware store or even over the internet. They offer hard-wired cameras, wireless cameras, cameras that stream to your phone, cameras that do not save and hey, cameras that do save on a DVR. They also sell door alarms as well, which are pretty cheap and easy to install. Having a home security system should be safer and more effective than hanging bells and cans on a wire across your doorways! Just do your research, ask around and take to the internet. It really isn't as expensive as you would think! What happens if you house is broken into? Don't touch anything! There may be fingerprints! Call the police. Remember how earlier I told you to record all your serial numbers and pictures of jewelry? Now is when that can come in to hand. By providing this to the police, they can track you items down if someone tries to pawn it or if they find them on a person or in a vehicle. Facebook is a great place now to put "lost" ads on garage sale groups. People will share them on their facebook page as well. This helps if you have a photo of it as well! Keep your eyes open! 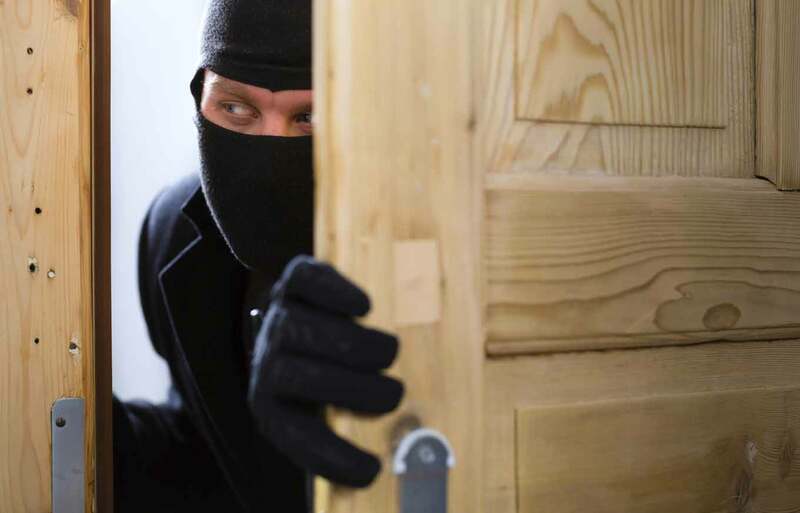 Lots of home burglaries are done by someone you know, unfortunately. Did someone you know just come "into" some extra cash right after your wife's wedding ring was stolen? Tell the police! We hope this issue has you scratching your head and thinking to yourself about the safety of your house and family. Because after all, it's your house and your family! Very useful information... thank you Family Watchdog! Social media helps too! I had my house broken into in 2014 and my security camera image was shared on facebook - the guy was identified and caught!! !